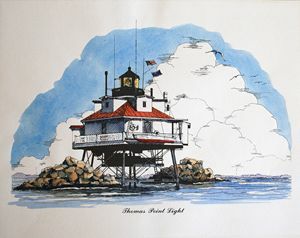 Just south of Annapolis is the Thomas Point Lighthouse. This is one of many lighthouses on the bay. 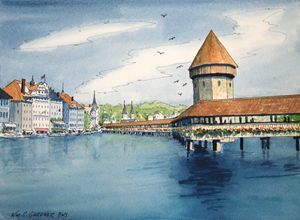 This was a rendering in ink & watercolor. 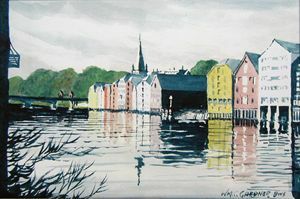 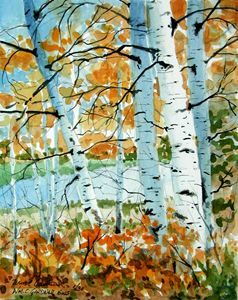 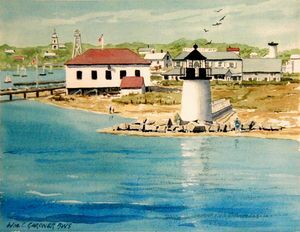 William C. Gardner has been very active in art through his watercolor renderings of North America, scenes of the Maryland landscape and more recently subjects derived from his 24 trips to Europe. 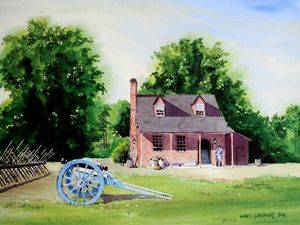 He also has published several prints that depict LOCAL HISTORIC LANDMARKS in Maryland, many of which provide pleasant memories for the viewer. 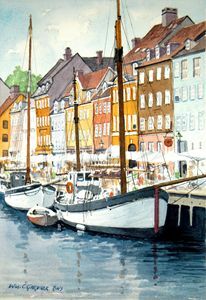 Over the last few years he has been painting more seascapes concentrating on Hobie Cat Sail Boats and Shrimp Boats. 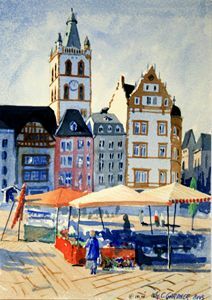 His photographs are an end unto themselves as well as reference material for his paintings. 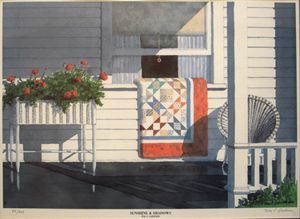 He is mainly self taught but has been fortunate enough to receive instruction at the Towson Fine Arts School and to attend workshops taught by John Pike, Tony Couch, Fritz Briggs and Carlton Plummer. 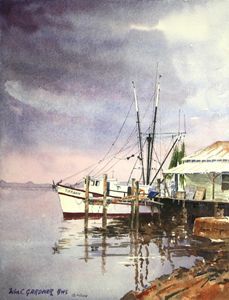 A professional artist for over 40 years, he is a life member of the Baltimore Watercolor Society. 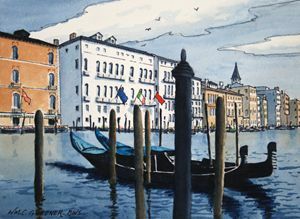 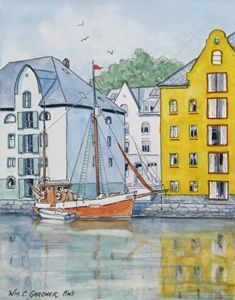 He has numerous awards to his credit including winning third and second place honors for his watercolor miniatures in succeeding years at the North American Miniature Juried Exhibition and first place with his 'Venice Cafe' painting at one of the Baltimore Watercolor Society shows. 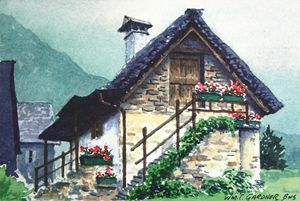 More recently he has been promoting his work, including over 100 limited edition prints through his website at yessy.com/artbill100 and through sales at internet site etsy.com where you must add gardnerwatercolors. 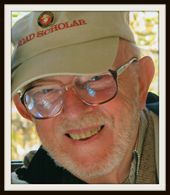 He currently resides at Edenwald in the Towson ,Md. 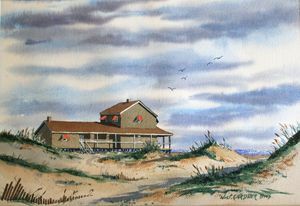 area where he lives with his wife and also maintains a separate studio where he continues his love of painting in watercolor.